Crinkle cut chips with any meal!! I'm in!! Grill bacon and beef sausage until both cooked. 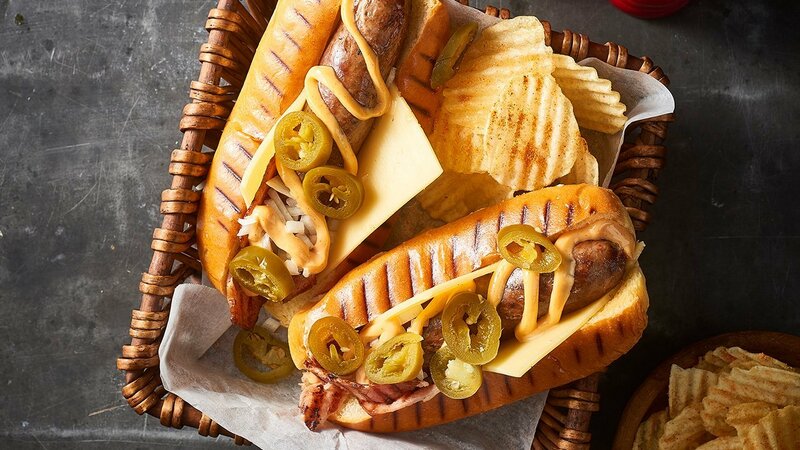 Grill then cut the Hot dog rolls - spread each side with HELLMANN'S Real Mayonnaise. Line the roll with American cheddar. Sprinkle with diced white onion before adding the bacon and sausage. Drizzle over COLMAN'S Original English Mustard. Then finish with sliced jalapenos.